8 Essential Components That Your Career Page Needs! In times of a shortage of skilled workers, it becomes increasingly difficult to find qualified employees. For this reason, companies should urgently deal with the topic of career pages. Career sites are becoming increasingly important. They are important for an individual and convincing appearance. 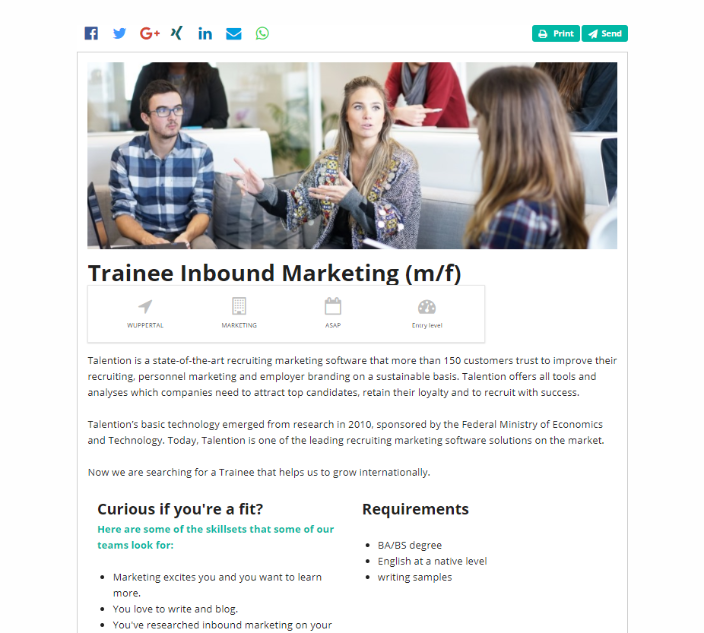 Through the careers page, you get in contact with candidates and have to convince them of your company as a good employer. In this article, we'll show you 8 essential career page components that you need to be successful. A landing page is an established website that targets a specific audience. It contains a specific statement in the center, which should lead to action. 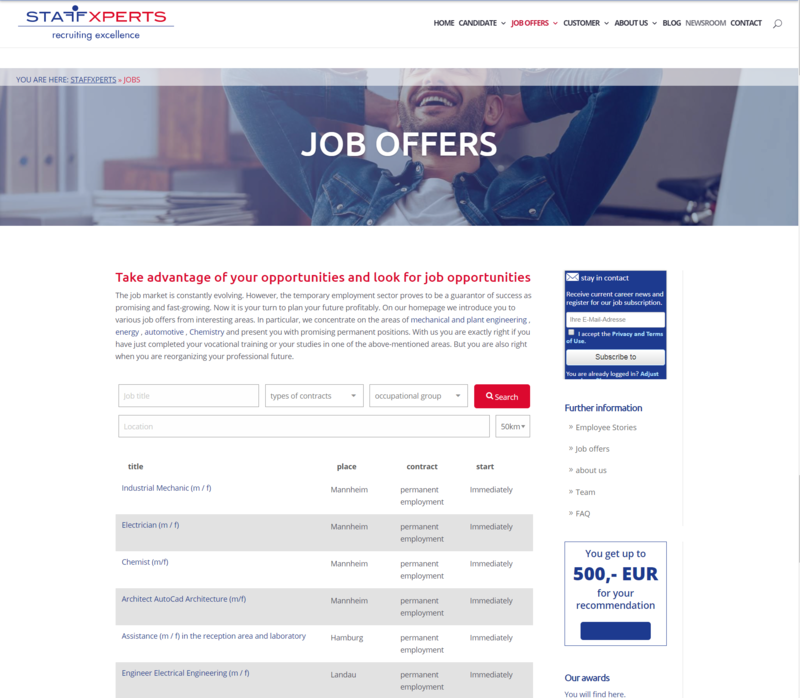 A landing page serves to show the candidate the suitable job offers and other related information. 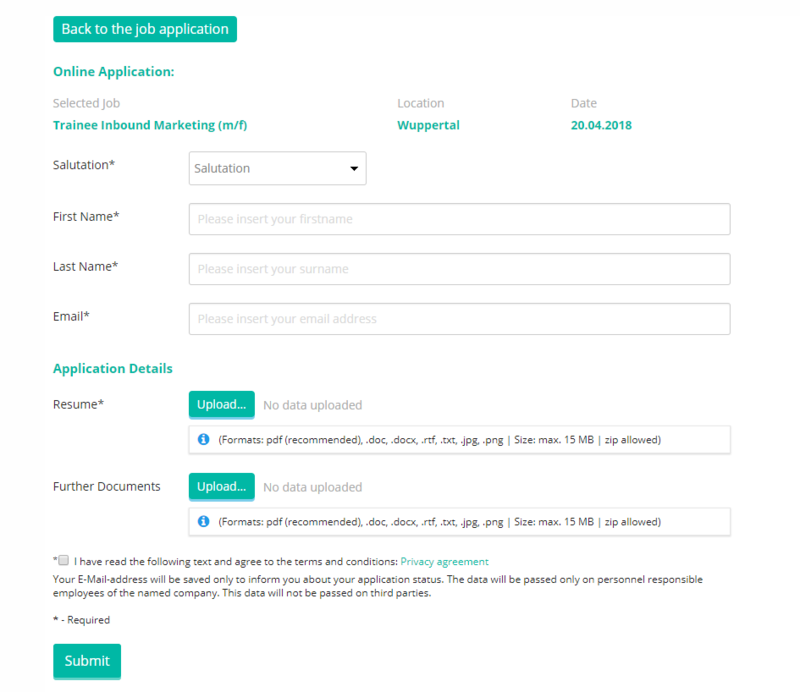 On a career page, there should be various landing pages for the various job offers, such as a landing page for graduates and a landing page for professionals. The landing page should at a minimum contain a suitable picture, a description of the advantages and possibilities of your company as an employer and the matching job offers. Here you can see a great implementation of landing pages. For a better overview, you should list the vacancies in a job board on your career page. In this job board, there should be a filter option, so a quick search is possible. 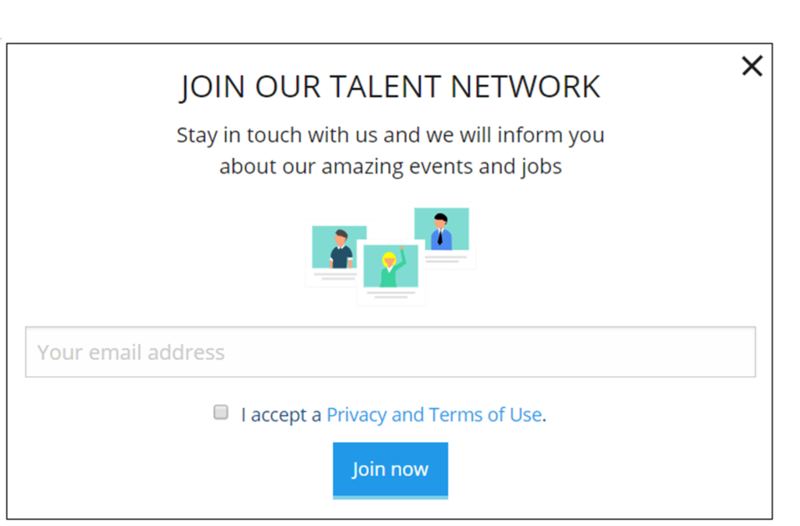 If there are currently no suitable job offers for a candidate, you should offer them the opportunity to sign up for your talent pool. These candidates have already shown an interest in your company and recognized your benefits as an employer. With a talent pool you can build up a candidate database, which you can recruit from for the next suitable vacancy. The job posting must be visually appealing. The text should be supplemented by an authentic image matching the job offer. The job advertisement must really convince the target group so that the right candidates apply. Learn more about creating a successful job advertisement here. If your job postings are recruiting from different target groups, it is important that you individualize your application process. A candidate with several years of professional experience should not have to complete the same application form as, for example, a trainee. Otherwise, you can scare qualified candidates out of long application forms and they don't complete the application process. At the same time, you may not ask a trainee the right questions and thus can't optimize their pre-selection in applicant management. Location is often a crucial issue as to whether or not a candidate chooses your company. 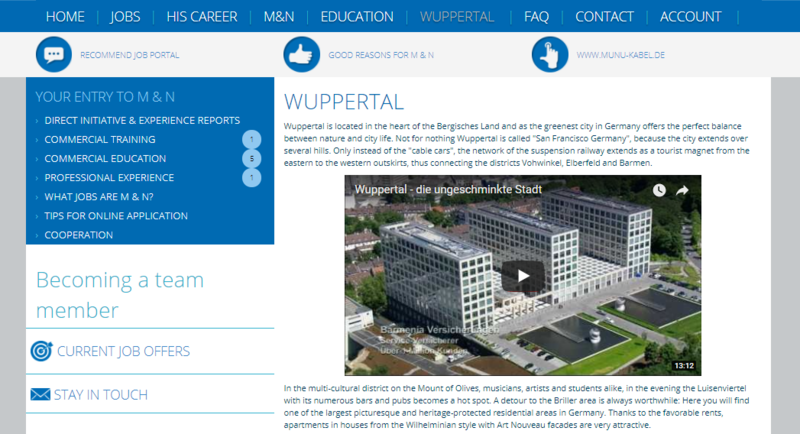 In order to establish yourself as an attractive employer, an appealing presentation of your location is also important. You should market your location on your career page and describe the benefits of your place of work. If you have to recruit nationally, the description of the location is especially important. See below what successful location marketing can look like! Create a video of yourself as an employer. Give the candidate an insight into the company, the way it works and the atmosphere. The candidate will find it so much easier to choose your company and apply. Post employee quotes or interviews and pictures of employees to create trust. Get started with your career page and make sure that nothing stands in the way of successful recruitment!